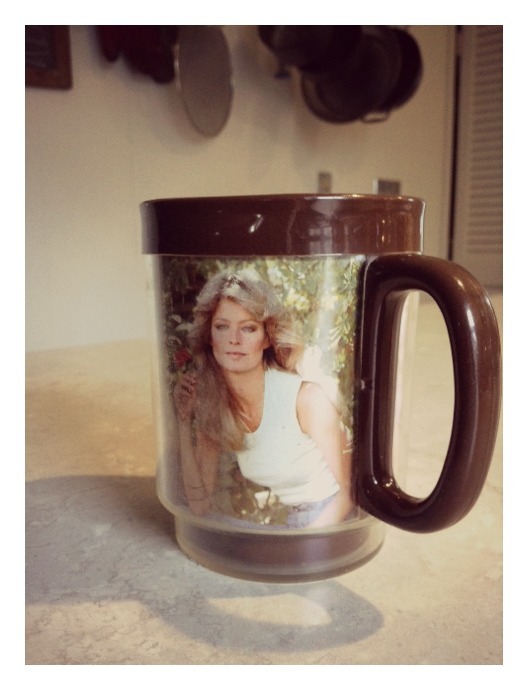 Today I drink from the cup of Farrah. Today I’m gonna rock this Friday like one of Charlie’s Angels. Well, maybe not so much like Farrah. Maybe more like Kate Jackson. But still. The cup helps. The Farrah cup strikes again! Is there Mayfield ice cream in that cup? I SOOOO wanted her hair in the 70s. But I also wanted to be the Bionic Woman. Dropping by to show my blogging support!